It's a great idea to make the characters of well-known fairy tales to the main actors in a comic. You will find the special (or typical) abilities of the different characters (which are known from the fairy tales) also in the tense plot of the comic, which is settled in New York of our time (and space) and where the fable characters have to live among "common humans". So, in my mind it's a really interesting mixture, which is entertaining and exciting - and not for nothing won a lot of awards yet. 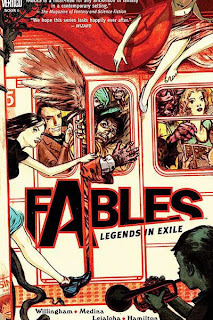 From the publisher: In the same vein as best-selling "fractured-fairy-tales" such as Wicked and Confessions of an Ugly Stepsister is Bill Willingham's runaway hit graphic novel series FABLES. No longer just children's tales, Willingham has created a new world for these beloved fables...one that exists within our own. 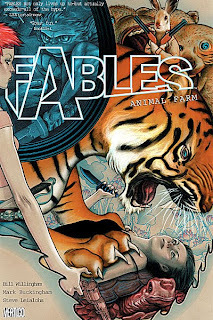 From the publisher: Collecting FABLES #6-10, the second story arc of the fan-favorite, critically acclaimed VERTIGO series. Travel to upstate New York, where the non-human Fable characters have found refuge on a farm, miles from mankind. 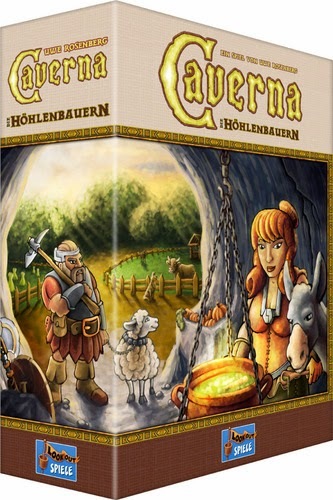 But all is not well on the farm — and a conspiracy to free them from the shackles of their perceived imprisonment may lead to a war that could wrest control of the Fables community away from Snow White. Starring Goldilocks and the Three Bears.